You have landed unlawfully on British territory and I order you to remove yourself and your troops forthwith. Sir Rex was removed from the islands by Argentinian forces and flew home to the United Kingdom from the Uruguayan capital of Montevideo. The British government, then led by Margaret Thatcher, responded to this attack by sending a large task force to recapture the islands. This force included a member of the British royal family, Prince Andrew, who personally fought in the battle. The campaign launched by Margaret Thatcher—which probably initiated her nickname of the “Iron Lady”—was one of the most memorable events in post–World War II British history. The British forces operated 8,000 miles from home and in terrible conditions. Almost 1,000 people lost their lives during the 74-day conflict, but the war was brought to an end on 14th June with the surrender of Argentina and the announcement of Britain as the victor. Sir Rex—knighted in October 1982—returned to the South Atlantic after the British military’s June victory. In 1985, the final year of his posting, a new Falklands constitution reinstated and consolidated the position of governor. He retired from his post altogether that same year. Many veterans and next of kin of those who paid the ultimate price for liberating the islands have visited over the past 35 years. The Falklands Liberation Memorial, a beautiful tribute to our lost soldiers, was erected on the Falkland Islands at the junction of Ross Road and Reservoir Road in Stanley. 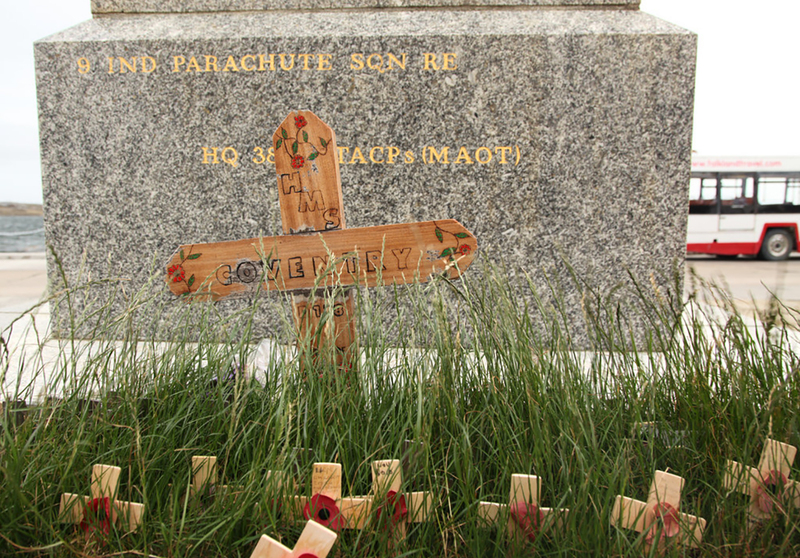 The monument was funded entirely by Falkland Islanders and was even designed by a Falklands-born architect, Gerald Dixon. The bronze figure of Britannia was sculpted by David Norris and was unveiled on Liberation Day 1984. 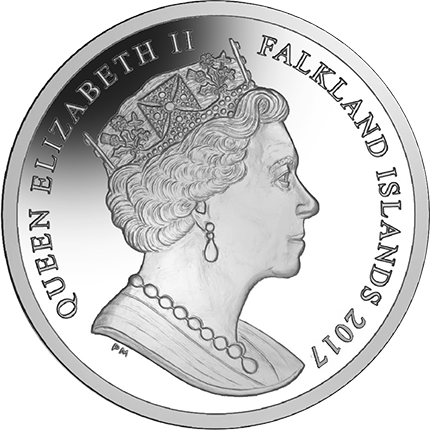 The coin is produced by the Pobjoy Mint, United Kingdom, on behalf of the Falkland Islands government and treasury. 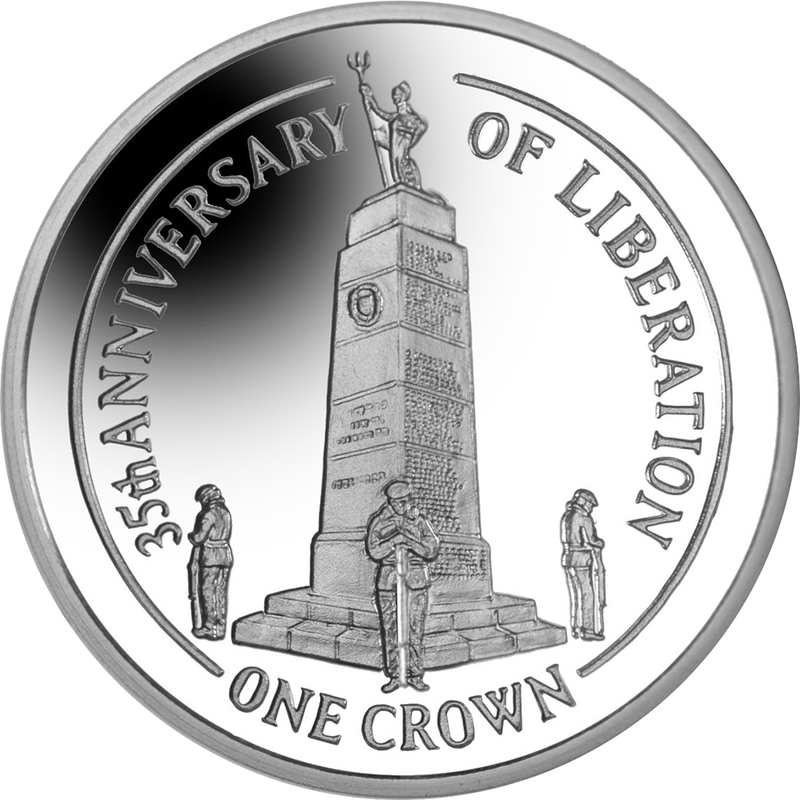 The reverse side features three soldiers facing away from the monument with their heads bowed and both hands placed on top of a sword in a formation also known as the Prince’s Vigil. In the centre is the Falklands Liberation monument crowned with the bronze statue of Britannia. Below is the denomination, ONE CROWN. The obverse features the exclusive Pobjoy Mint effigy which captures Her Majesty Queen Elizabeth II in high detail.